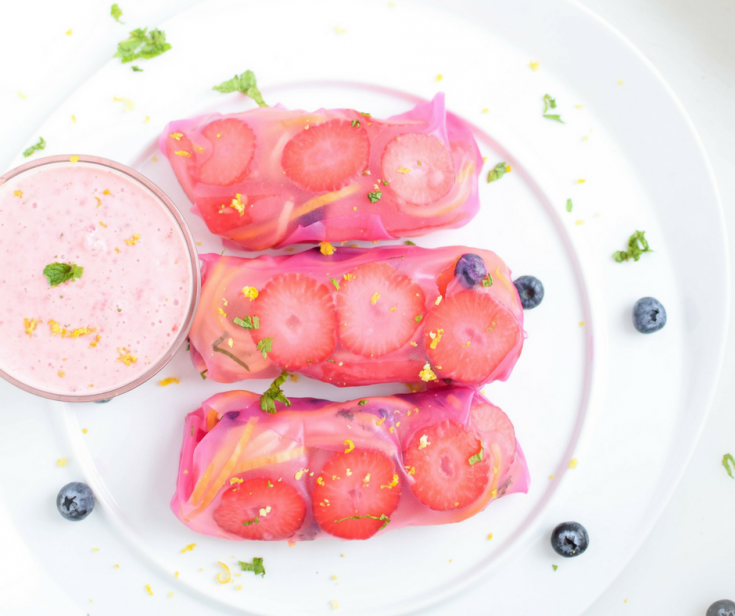 A unique twist on the classic spring roll, these Pink Fresh Fruit Spring Rolls paired with a Strawberry Mint Dip are a sweet treat that is naturally dyed, with no added sugar, naturally vegan and gluten-free! If you are anything like me, you’re a sucker for all things cute, pink and sparkly. While there is no glitter in these fresh fruit spring rolls, I was able to dye them pink, naturally, by dipping the rice paper into equal parts of warm water and beet juice. This gives the spring roll skin a beautiful pink color which you can control yourself by varying the beet juice to water ratio. And in case you’re wondering, the spring roll wrappers do NOT absorb the flavor of the beet juice – thank gosh. The best part about this recipe is that you can choose to fill your spring rolls with any ingredient that you like, making these a blank canvas for any fruit and veggie combo. The zucchini and yellow squash use in these were a great addition because they have such a mild flavor that they blend right in with the fruit flavors and add a satisfying crunch as well as volume to these rolls. With summertime in full swing, it is the perfect time to enjoy a full serving of fruits and vegetables in these gorgeous, naturally dyed fresh fruit spring rolls! You can choose any fruit and vegetable you want to fill these nutritious and delicious rolls that the whole family will love. If we are friends on Instagram you know that I am a passionate gardener and that this year my garden is going absolutely crazy! Despite the ‘drought’ we are experiencing here in Upstate New York, my garden is doing the best it ever has and continues to produce more fruits and vegetables than our family can eat alone. 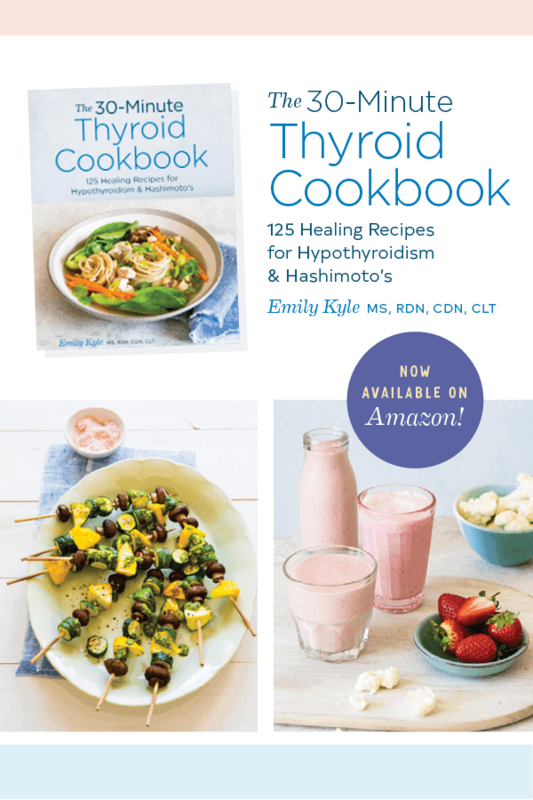 I am excited that this recipe features some of the fruits and veggies are grown in my very own garden, like zucchini, yellow squash, and strawberries. Every spring roll needs a magically delicious dip. This Strawberry Mint Dip will take you just 5 extra minutes, and makes the whole recipes just that much more delicious. Simply toss all of the ingredients together in a blender or small food processor and enjoy. 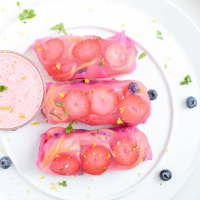 These Pink Fresh Fruit Spring Rolls paired with a Strawberry Mint Dip are naturally dyed, with no added sugar are naturally vegan and gluten-free. The key to successfully rolling spring rolls is to be sure everything is prepped and ready to go before attempting to start! Slice your fruit and spiralize your zucchini and squash. In a shallow bowl (a glass pie pan works great) mix equal parts of warm water and the juice from the drained can of beets. Using your hands, wet your work surface, like a smooth cutting board, as this will keep your rice paper from getting stuck to the surface. Dip the wrapper in the bowl for 10-20 seconds until it remains firm yet pliable. Lay your wrapper on the wet surface and work quickly to add the ingredients. Start by laying down the sliced strawberries, topped with watermelon sticks, blueberries, lemon and lime zest and mint. Finish by adding the zoodles. Be careful not to over or under fill your spring roll wrapper. It may take you a trial run or two to get it just right. Work quickly because you don't want your wrapper to lose moisture or become mushy. Start on either the left or right-hand size and stretch one side of the wrapper around the pile of ingredients, tucking and rolling the paper until the pile is neatly pulled together. Then pull in the top and bottom flaps. Tuck in any corners and continue to roll all the way, making the spring roll as tight as possible. Roll as many as desired. In a small food processor, blend together the yogurt, strawberries, mint and lemon juice.